"Ztwist" is a term familiar to most handspinners, being a direction of twist inserted into yarn. 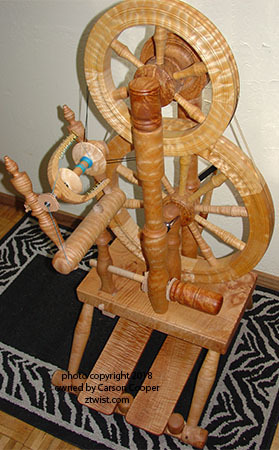 It is also the web home for Carson Cooper Spinning Wheels, manufacturer of fine handmade tools for the fiber community. For those looking to have a wheel custom made, we invite you to review our "Commissions" page for a preview and listing of the available wheel styles to choose from. For a bit longer, we shall continue accepting special orders. Sometimes though a wheel "ready made" may do as well, without the wait. 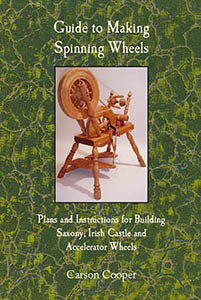 Our current listing of fine finished, or in progress, wheels may be found below. To purchase books, just click on the link below image to visit our book store. "Quincy, Highly Figured Maple SOLD. More photos on Gallery page. Detailed instructions for those only in need of a flyer, or bobbin, and want to learn how to make one at home. 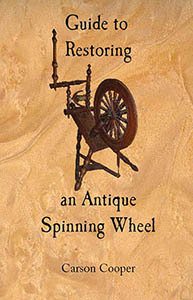 Helpful tips and tricks for bringing an old wheel back to life, along with a little history of "back in the day". 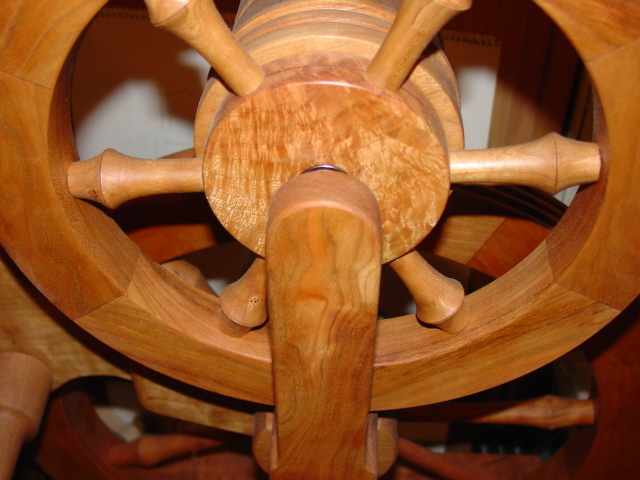 How-to-Guide for making your own hand-crafted wheel. Detailed plans. 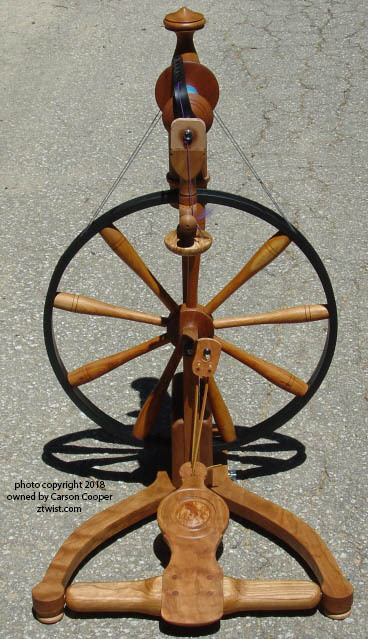 LIMITED RUN OF THREE Sabrina V 18 inch metal rim, single treadle Cherry wood $900 + $200 shipping (USA) Only 1 left!